Osage City Aquatic Center is open Saturday and Sunday through and including Labor Day, and Osage City Parks and Recreation is gearing up for cheerleading camp, youth flag football, youth soccer, youth volleyball camp and leagues, and after-school art camp. Be sure to note upcoming sign-up deadlines. Deck and Pool Rental Reservation can be made with Corey Linton. 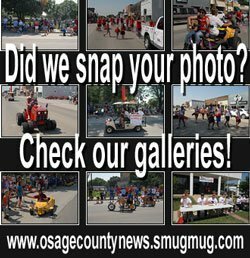 SIGN UP DEADLINE – August 21: Sign-Up Forms Will Be Available at Osage City Hall, sent through the OC Grade School (when school starts), online at www.osagecity.com (click Departments and Parks and Recreation), or upon request. A player younger than 5 years of age on/before September 1, 2015, is too young for the Pre-K/K Division. Teams can start practice the week of August 31, if a coach is assigned to their team. 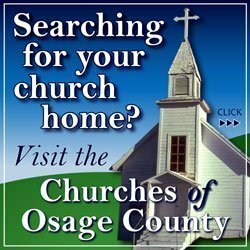 SIGN-UP DEADLINE, August 24: Sign-Up Forms Will Be Available at Osage City Hall, sent through the Osage City Grade School (when school starts), online at www.osagecity.com, or upon request. OCPR players receive a team jersey, shorts, and a participation award. Players supply their own shin guard and cleated shoes. Team Practice can start the week of August 31, if a coach is assigned. 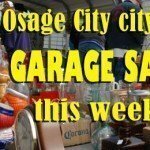 SIGN-UP DEADLINE August 24: Sign-Up Forms Will Be Available at Osage City Hall, sent through the OC Grade School (when school starts), online at www.osagecity.com, or upon request. Open to ALL 3rd – 6th Graders in Osage County and the surrounding area. Open to ALL 5th/6th Grade volleyball teams in Osage County and the surrounding area. OCPR is offering a 5th/6th grade recreational volleyball league for area town teams.